One man’s obsession to unravel a mystery leads to an arduous journey, a violent confrontation, a decision that can’t be unmade, and the everlasting weight of unintended consequences. Southwest Texas. 1883. A Texas Ranger comes upon a horse that has been savagely beaten and killed. Soon he learns of the murder of another horse in a nearby town—another white horse. Setting aside other duties, he commits to finding the killer. When a third white horse is slain ritualistically, the Ranger vows to not only find the killer, but to stop him once and for all. Why are the animals being killed? Who is doing it? Can the Ranger find and stop the slayer? And if so, at what cost? A World War II saga of war and peace, crime and punishment, love and loss, and eventually hope. 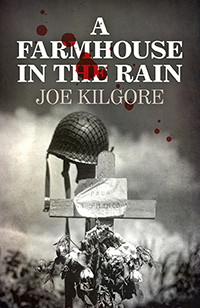 Who will be unmasked as the murderer on that fateful night at A Farmhouse In The Rain? 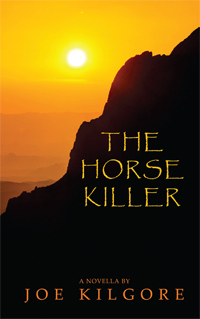 The US Review of Books on The Horse Killer: Vibrantly written and meticulously plotted, the story uses its style to interest readers from the very first page and keeps them hooked with a mystery and a manhunt that run the length of the book. The story itself is perfectly sized as a novella, allowing the reader just enough time to meet the characters, process the action, and solve the mystery without overstaying its welcome or getting sidetracked. The Wager, was recently published in The Story Shack. Learn more in news and reviews. Joe’s short story, An Unkind Winter, was selected by two organizations for publication but one of them had to defer. Read more about that in News & Reviews. Read the story itself at The Twisted Vine. The Write Place At The Right Time featured Joe’s short story, The Painting. Read more about it in news and reviews. Joe’s short story NOCTURNE, was published in The Story Shack. It details the shattering conclusion to a broken relationship beneath a full moon in the night sky over Arizona. 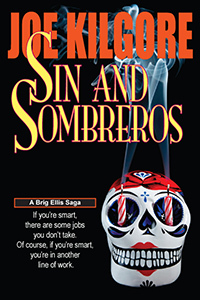 One of Joe’s short stories was included in the anthology, The Best Short Fiction of 2012. Which one? Find out here. Online literary journal The Writing Disorder published Joe’s short story, “A Grim Dark Bar In A Cold Wet Town”. It’s a tense bit of noir that unfolds between the regulars and some mysterious newcomers to a watering hole where the occupants inside are as menacing as the weather outside. Literary Magazine thewriteplaceatthewritetime.org published Joe’s short story “The Voice”. It’s a political parable that’s neither Democrat or Republican. Rather, it’s a chilling tale of acquiescing to the things we think we want to hear. And in so doing, giving up far more than we get in return. The Write Place at the Write Time previously published Joe’s tightly constructed take on murder for hire,“The Auckland Assignment”, in their anniversary edition. Learn more. Joe’s short story, Those Who Trespass Against Us, was featured in the 16th issue of Storychord, a literary website. Find out more. “The Gesture” was the first place winner in the Western Romance category of Moonlight Mesa’s 2nd Annual Cowboy Up Short Story Contest. Learn more.